Kato Havas, the 95-year-old Hungarian violin teacher talks in an audio interview about how her internationally renowned ‘New Approach to Violin Playing’, was inspired by the freedom of the Hungarian Gypsy violinists. She explains why she feels that stage fright for violinists is connected with a lack of physical freedom, and how a fear of making mistakes can also really affect performance nerves. Please click here for a transcript of this interview. Kato Havas OBE, born in Hungary, was a child prodigy of the violin. Introduced to the instrument at the age of five, she gave her first professional recital at seven. Her compatriot, Emil Telmanyi, was so impressed by her playing that he arranged for her to study with Imre Waldbauer at the Royal Academy in Budapest, where she received the traditional virtuoso training. She made her debut at Carnegie Hall at the age of seventeen and was acclaimed by the critics. Whereas most child prodigies find a period of retirement essential if they are to achieve maturity of mind and musicianship, in the case of Kato Havas this happened quite naturally. She married at eighteen and while bringing up her three daughters withdrew altogether from professional life. It was during this period of withdrawal, of standing back as it were, that she evolved her revolutionary method of teaching. A charismatic teacher, Miss Havas has been invited to lecture at Oxford University, has given talks and demonstrations on television, as well as a series of lecture demonstrations in Great Britain, Australia, New Zealand, Canada and many European countries. She has travelled extensively in the United States, giving workshops on the application of the new approach to violin and viola playing. She was founder and director of the Purbeck Music Festival in Dorset, the Roehampton Music Festival in London and the International Festival in Oxford where she is now based and approached by players from all over the world. 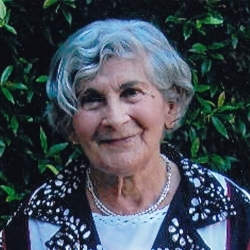 In 1992 the American String Teachers Association conferred upon her its prestigious International Award in recognition of her “unparalleled achievements” and in 2002 Kato Havas was appointed Order of the British Empire (OBE) in the Queen’s Birthday Honours, for services to music. In 2013, the European Teachers’ Association presented Kato Havas with its Award “in celebration of a life-long contribution to music”. Her books have long been translated into Chinese, German, Spanish and Swedish. Recently they have become available in Czech, Hungarian, Japanese, Italian and Dutch.